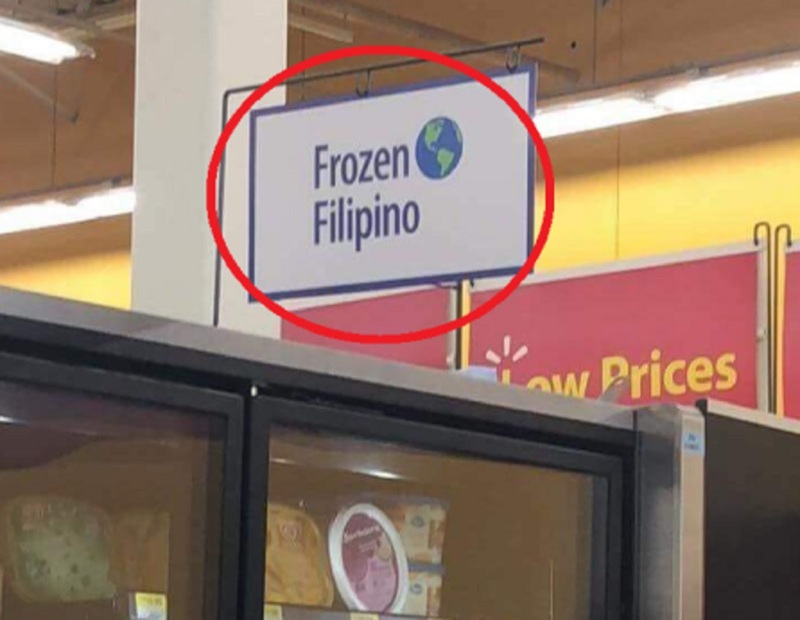 FUNNY SIGNS: WALMART posted "FROZEN FILIPINO" in goods section, NETIZENS CALLED IT "CANNIBALISM"
Netizens reacted to how it was presented. The Walmart has never released a statement yet despite the people commented in it had diverse reactions. Much added to the laugh trip...how many signboards had been posted? “Evidence that Americas (sic) are cannibals,” Kyle DC Sandiego joked. Ryan Vincent Cordova referenced a classic Sci-Fi novel and film. “Soylent Filipino,” he said.